Now would be a good time to give a command – he’s looking at you, and not distracted by something more fun. In the past I’ve talked about “tells,” those little signs that clue you to when your dog is getting birdy, or ready for direction, or in need of correction. I’ve also mentioned timing your commands, praise and correction for that “golden moment,” when he’s amenable to them. But just like those indicators of readiness, there are times when you’re wasting your breath and your emotional energy. You can yell, scream, jump up and down, or do cartwheels and your dog will steadfastly ignore you. It think it was legendary pro trainer Delmar Smith who said “never give a dog a chance to fail.” I take that to mean don’t expend training capital – or sanity – giving commands that are destined to be ignored. The dog still learns, but not what you hoped to teach. He learns he can get away with murder. As a dog matures and training progresses, he will be more likely to listen to you and pay less attention to the siren song of roadkill. It is a gradual and cumulative process but early on, keep your expectations at an appropriate level. What kind of clues should inspire you to stow your whistle? Some are obvious. My guy Buddy is a digger. When he’s bored and there are no birds he’s happy enough hunting ground squirrels. Once he’s digging, there is no point in my asking, telling, imploring or threatening. He’s in predator mode, single-minded and focused on the critter that is frantically tunneling away at warp speed. Other dogs, people, and sounds can distract a dog and flummox a command. Breath deep, give it a minute, wait for your opportunity, then deliver your direction once there’s an open niche in the thought process. Right after he pees and before his hiked leg hits the ground is a perfect time. Following a good shake is another. While howling at a neighbor jogging past is not. Hunger or anticipation of a meal is another deal breaker. Once a week I catch myself wondering why Manny won’t listen, let alone follow my clear direction. Then I look at the wall clock – it’s dinner time. Or something in the wind will entice … and it doesn’t need to be bird scent. Dogs often react first to what their noses tell them. If you don’t give that new scent a beat or two to “sink in,” your command will fall on deaf furry ears. If you don’t catch him before that shoulder tuck, you probably won’t forestall a roll in that stinky dead critter. With a dog, learning is a gradual progression of baby steps, leading to mastery of commands to the point of flawless obedience in the face of compelling distractions. The yin of your direction is constantly buoyed by the yang of sweet temptation. Only with repetition and gradual introduction of distractions can you tilt the balance in your favor. Even then, you’ll almost always lose out to roadkill. It think it was legendary pro trainer Delmar Smith who said “never give a dog a chance to fail.” I remember when I first stated training.. I was reading Delmar’s book and several others but this one quote has always stuck with me. There are times that it slips (senior moment) but when it is most important I always seem to remember this one thing. 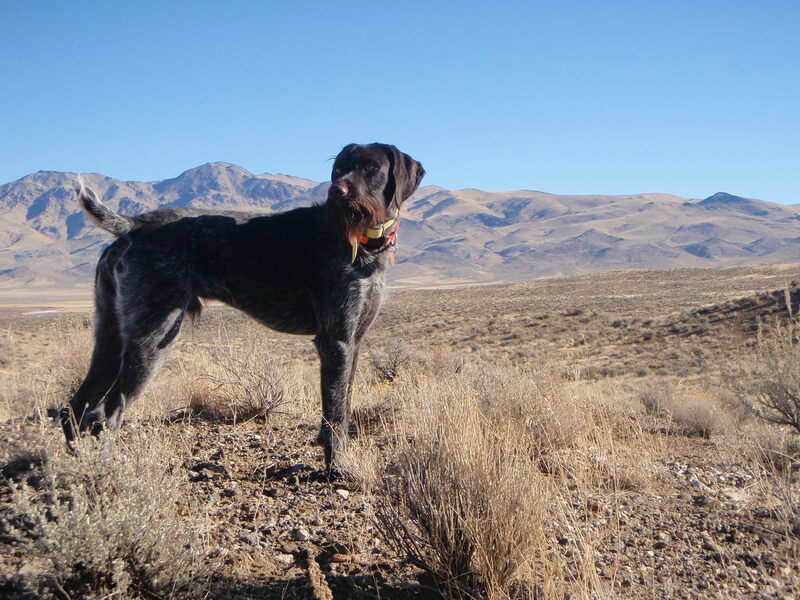 My dogs are not perhaps the most trained and certainly at this point they are not ready to compete, but for me, and those I hunt with…they sure try to please. Mostly because, I tried so hard to make sure their success was always possible. So true! I’ve stolen that line (with credit to my friend Delmar) many times.